For those of you who work with or live in a country which uses a language other than English, you may have need for variations on input. As you may know, I’m learning Mandarin which means I’m making use of Traditional and Simplified Chinese. 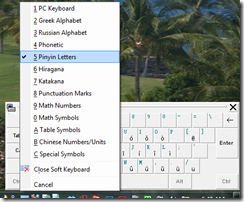 When setting up my Windows 7 machine, I found the following website a godsend – Pinyin Joe’s. If you are considering installing language packs on a Windows machine, you should read this page first – you may not need a language pack at all. 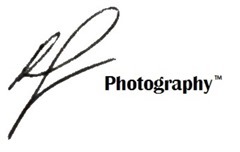 Note that this site deals largely with Chinese support on Windows, but a lot of the guidance will be just as applicable for other languages, and for most popular versions of Windows – including Windows 7. Whether or not you install a language pack, you can still install language support. For Chinese, I found that the “initial” language support didn’t (seem) to support the usage of pinyin characters. I found it necessary to install the Microsoft MSPY pack which is more than adequately documented here. Once you have the right languages installed, the next step is to make use of it. Luckily, this is relatively easy. 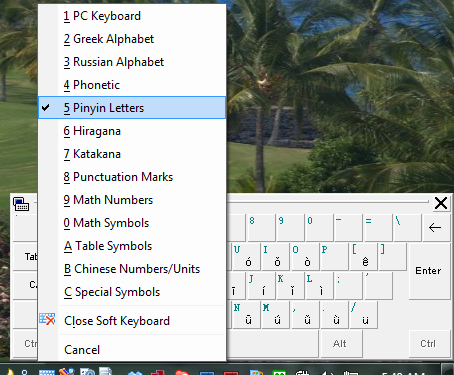 In my case, I was able to switch to pinyin input by selecting the appropriate “soft keyboard”.